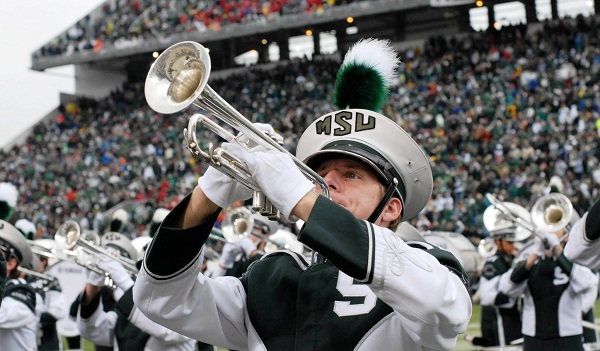 The Spartan Marching Band is open to all university students by audition only. 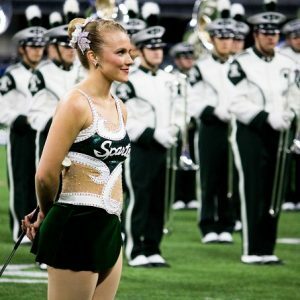 You must be accepted to Michigan State University in order to audition. 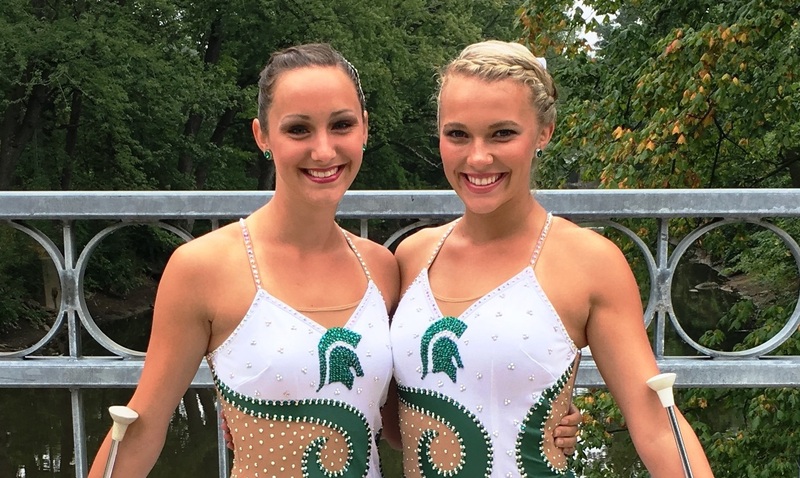 You do not need to be a music major to qualify for the Spartan Marching Band (SMB). Approximately 10% of the SMB population studies music, while the other 90% come from all other colleges and majors in the University. To register for an audition, please fill out this google doc. 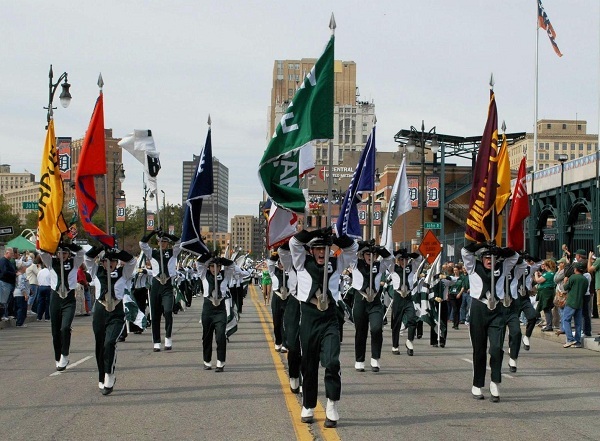 If you have any questions, contact the band office at smb@music.msu.edu or (517) 355-7654. Dr. Thornton will send out an email with final information before each audition. Any questions about the audition process? 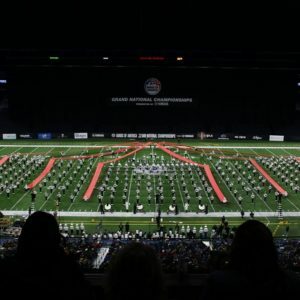 Be sure to visit the SMB audition FAQ page. 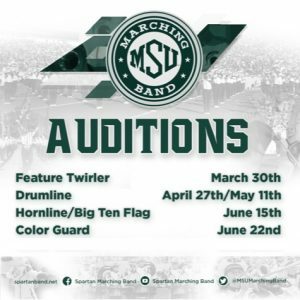 You may also e-mail the Director of the Spartan Marching Band, Professor David Thornton at dtt@msu.edu with any questions related to Spartan Marching Band auditions. The instrumental audition should consist of one prepared solo piece or etude involving contrasting styles (3 to 5 minutes in length). A piece that you might perform at a “Solo and Ensemble Festival” would be appropriate. You do not need an accompanist. This piece does not need to be memorized. Please also prepare the following major scales; C, F, B flat, E flat, A flat, G, D, A, E. Perform these scales by memory. There will be brief sight-reading at the live audition. Wear appropriate “work out” type clothing for the marching audition, including proper footwear (running shoes, sneakers, etc.). No sandals. Wear comfortable, not formal, clothing for your “playing” audition. You will have time to change clothes for the marching audition. Those who can’t be on campus for the regular audition day may submit a “video audition.” However, it is highly recommended to attend the audition day. Videos must be uploaded to YouTube or Vimeo. 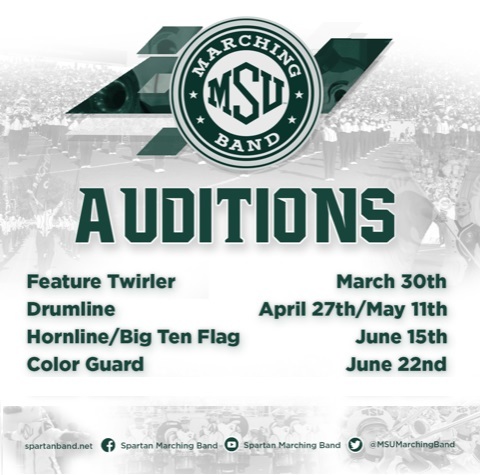 Email the video link to dtt@msu.edu with the subject line; SMB Video Audition. Solo piece from beginning to end (may be video of recent solo and ensemble performance with accompanist, or other solo performance). If making a solo performance video, accompaniment is not required, but is welcomed. All scales listed above from memory. Display of marching technique on a football field – 10 yards of forward march “8 to 5” and 5 yards of backwards march “8 to 5.” iPhone video is fine here. Email with video link(s) must contain name, address, phone, and on-campus housing assignment (if known). 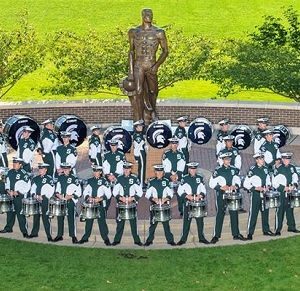 If you plan to be a music-major, your MSU College of Music audition will satisfy for automatic membership in the Spartan Marching Band. These music majors will receive an invitation letter from the Marching Band Office in early May. If you would like to participate in the SMB as a music major, simply fill out the form in the early May mailing and return it to the MSU Band office. You will then be included in our July mailing for all new SMB members. Flute, Clarinet, Oboe, and Bassoon music education majors typically perform on alto or tenor saxophone in the SMB. If you are interested in participating in the SMB, you must audition on your preferred “marching” instrument or by video as described above. Drumline auditions will be held on Saturday, April 27 and Saturday, May 11 2019, from 9:00 AM – 5:00 PM. More information can be found on the drumline website. Percussion music majors must still audition for the drumline. Questions about drumline auditions should be directed to Professor Jon Weber, MSU drumline instructor. SMB Color Guard auditions will be Saturday, June 22, 2019 from 8:30 AM to 5:00 PM at Demonstration Hall. All prospective members will experience a morning group class in movement and flag that includes fundamentals along with choreography. After lunch, there will be a brief review and then the audition will proceed in small groups. 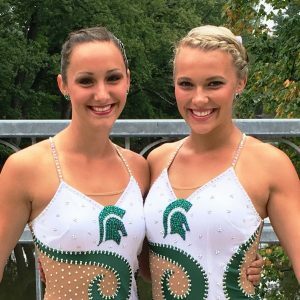 The desirable candidate will have all of the above attributes or the right mix along with a strong desire/passion to improve and grow into the skill set necessary to succeed at Color Guard at MSU. Deadline: Friday, June 21 at Midnight. This deadline is non-negotiable. We will not accept late submissions. 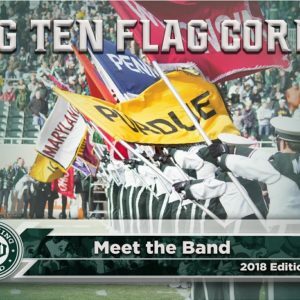 Big Ten flag auditions will be Saturday, June 15, 2019 from 3:00 PM to 5:00 PM at Demonstration Hall. 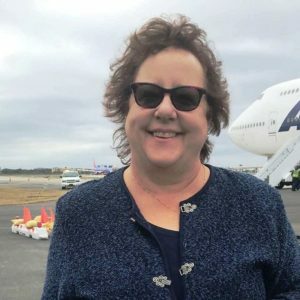 Any questions should be directed to Claire Kosky (koskycla@msu.edu). 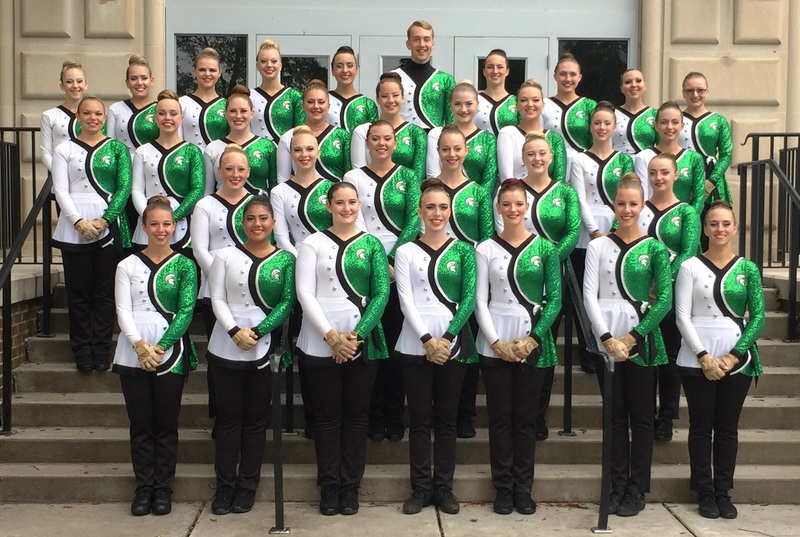 Feature Twirler auditions will be Saturday, March 30, 2019 at Demonstration Hall. Applicants who have been invited to campus for a live audition should report to Demonstration Hall at 2:00 PM. 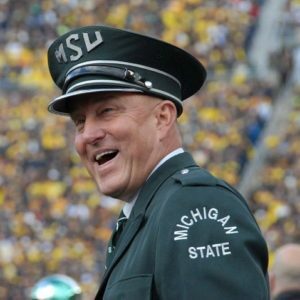 Any questions should be directed to SMB Director David Thornton (dtt@msu.edu).